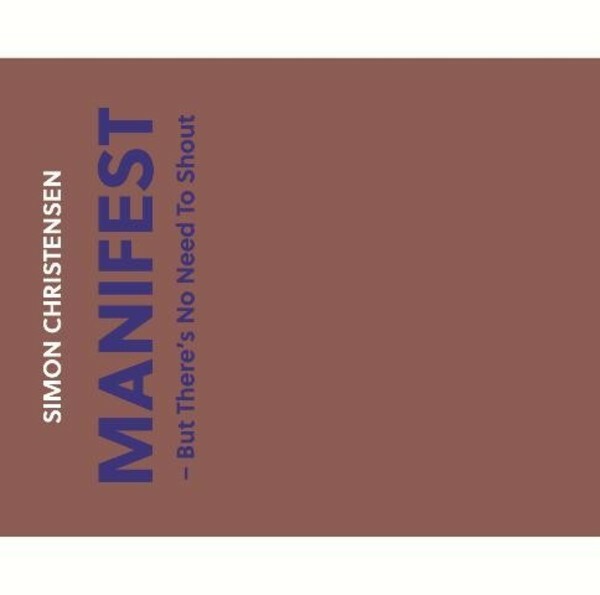 Simon Christensen’s string quartet Manifest – But There’s No Need To Shout is an outstanding work in one single movement, exclusively using the open strings of the instruments. The combination of the rich world of harmonics in the open strings and the harshly and richly dissonant chords result in a unique, dark and lustrous sound. The absence of melody and dramatic effect provides rich scope for absorption in this original universe. “’Manifest ‘ is beautiful in a way music has never been beautiful before” - Jexper Holmen, composer. Like many 21st century composers who came of age in the closing years of the previous millennium, Simon Christensen has had an extensive background in a variety of musical genres, and as a result creates music that is deeply informed by all of them. But what sets him apart from most composers of his generation is that while all of his influences make sense once you know what they are, the resultant music he has been creating over the course of the past decade somehow transcends genre considerations entirely and is something completely fresh and new. While one might trace Christensen’s meticulously notated scores to his rigorous composition training (at the Royal Academy of Music in his native Copenhagen and the Conservatoire Nationale Superieur de Paris), attribute his careful attention to sonorities and a systemic approach to their manipulation to background in live electronic performance (as a laptop artist in the duo Mobile Soundscapes or his use of a variety of analog modules in the group Kundi Bombo), and assume his obsession with pulse is related to his activities earlier on as a rock drummer (in the band New Paragraphs), Christensen’s very complex looking scores tend to sound much simpler, many of his most remarkable timbral details are achieved with purely acoustic instrumental combinations, and his skewed rhythmic sensibility ultimately has little to do with most rock music.